Was it shot of the year? Should you change your approach? It really had it all…. What are your goals in 2018..? It kicks off this weekend! That made for fantastic viewing! Would it benefit your game? Come see our new Clothing from Callaway & PING! There's no need to break the bank this season! Revolutionary new footwear coming to Stockwood! Is this the future of the game? Our shop relaunch is tomorrow! 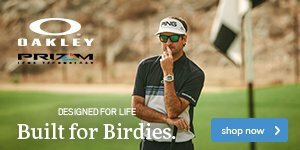 Titleist's 4 for 3 is back! The sale rail never fails! There's still time to grab a Christmas bargain! A great weekend for British sport! Dont Miss Stockwood's Black Friday Sale! Great scoring continues into winter! Hot topic - have your say…. Do these images look familiar? A warning from the golf police! A 2 was worth how much?! We must be going bonkers! Stockwood start 2016 with a bang! And this is why we love this game! Planning going on at Stockwood Park, but for what? Syed and David - the ultimate team! What's been your weakness this summer? Is there any better feeling...? Who will be crowned Club Champion? Do you agree with all of the criticism? Remember it could always be worse - 17 on one hole! Did you see these unbelievable scenes? 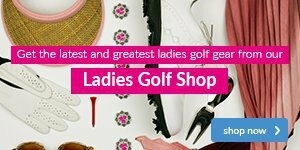 The Ryder Cup is here, as is some weekend offers! When was the last time you checked the studs on your golf shoes? Have you taken advantage of our Rory McIlroy offer? Are you getting the most out of your irons? Are the grips on your clubs worn?